When the Pelicans hired Alvin Gentry as their new head coach this summer, it was with the expectation that he'd help turbo-charge an offense that was near the bottom of the league in pace last season. But an added bonus may be a simplification of the defense. Under previous head coach Monty Williams, defense was the priority, and the Pelicans were tasked with keeping multiple schemes in mind. 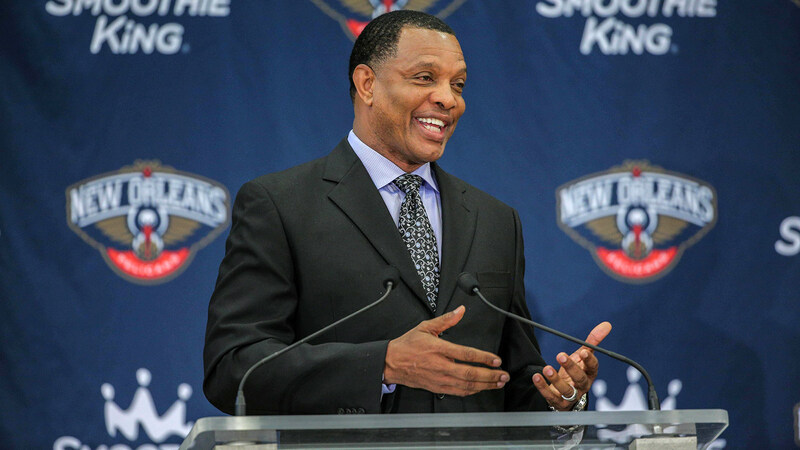 Gentry's approach is different, and it's one that the players are already excited about. ''We got like three calls, that's really it,'' Pelicans forward Anthony Davis said. ''That's all it is. They just want to make it simple and not more so of what the other team's offensive players are doing but what we do defensively. ''We probably had around 15 or so (defensive calls last season),'' Eric Gordon said. ''Last year, we were almost playing centerfield with everybody. We would try to protect the paint but then somebody penetrates and leaks in and get an open 3-pointer. We tried to take away too many different things instead of keeping it simple, keeping it basic and try to force nothing but jump shots.